Zone Mixers - Akwil Ltd. Zone Mixers There are 6 products. The CX163 is ideal for leisure, licensed and retail venues providing six stereo line level inputs, one microphone input with paging mic for each zone. The CX163 has 2 stereo zone outputs + 1 mono utility output (ideal for utility areas such as toilets and foyers). 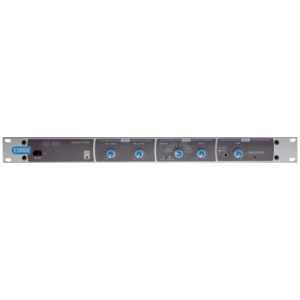 The Cloud CX261 is a 1U rack-mounting audio mixer ideal for use in bars, restaurants and other leisure sector premises, also offices, hotels and other multi-use areas where simple control of high quality background music needs to be combined with a flexible range of paging options. The Z8MK3 is the latest version of the ever popular Z Series of Cloud Zoner Mixers. The latest upgrade includes RJ45 connectors for much easer wiring of the NEW LM-2 or LM-2A Active Facility Input Plates along with changes to the Mic Input Sockets from XLR to Phoenix style connectors. The Z4MK3 is the latest version of the ever popular Z Series of Cloud Zoner Mixers. The latest upgrade includes RJ45 connectors for much easer wiring of the NEW LM-2 or LM-2A Active Facility Input Plates along with changes to the Mic Input Sockets from XLR to Phoenix style connectors. Do you have a question about one or more of our Zone Mixers products? Click below to contact us.